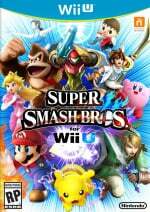 A double for Super Smash Bros.
Nintendo's excellent releases in 2014 earned it - and partners releasing exclusives such as Bayonetta 2 - a host of notable nominations and awards. The big N's representation at the recent D.I.C.E. awards was certainly less prominent than in some other major ceremonies of the past few months, with no nominations in key categories such as Game of the Year, but it nevertheless picked up three gongs. You can see the winners (and the games they beat to the prize) below. In terms of surprise absentees, Nintendo was entirely left out from the Family Game of the Year category, while Bayonetta 2 missed out on a nomination in the Action Game of the Year section. Nevertheless, Nintendo didn't leave entirely empty-handed. Can't see how Bayonetta 2 didn't even get nominated. Wasn't it the highest rated game of last year that wasn't a remake? Plus how in the world does Nintendo Not get one game in for family game of the year? And how does Child of Light get shoehorned in for handheld GotY? Vita had better games to choose from right? Destiny won Action Game of the Year! The insides are hurting from all the laughter. D.I.C.E. really doesn't know much about anything, apparently. Bayonetta 2 wasn't nominated anywhere, Nidhogg is supposed to be a fighting game, Child of Light in the handheld section (seriously, the VITA version is the worst out of them all), Destiny as the action game of the year AND best online (barely anyone agrees, not even Bungie themselves), and Dragon Age: Grindfest Inquisition is GOTY - half of the SoM awards also seem tailored towards it, though I'm really stumped how it could get an award for its story, of all things. Nice to see them actually win awards as opposed to the token nominations they tend to receive from institutions with no intention of taking their games seriously. 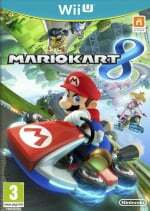 Bayonetta 2 and the lack of any family game nomination whatsoever are glaring oversights here, but it's nice to see Mario Kart 8 beat the "mature" racers. Nidhogg? Never heard of that game. I should look that up, and Persona 4 Ultimax was not nominated? @Spoony_Tech Apparently they've never heard of Danganronpa. Bayonet 2 is really getting left behind on awards show. I laughed so hard when Destiny,of all games, won action GOTY. Can we talk about how Bowser is getting crotched punched by Mario? Wait. No family game of the year? Nintendo. Really. Really. Thanks, yeah it looks pretty cool. I see that it's on Sony consoles too. I may have to check this out. Bayonetta 2 not even getting nominated make this awards ceremony completely irrelevant. 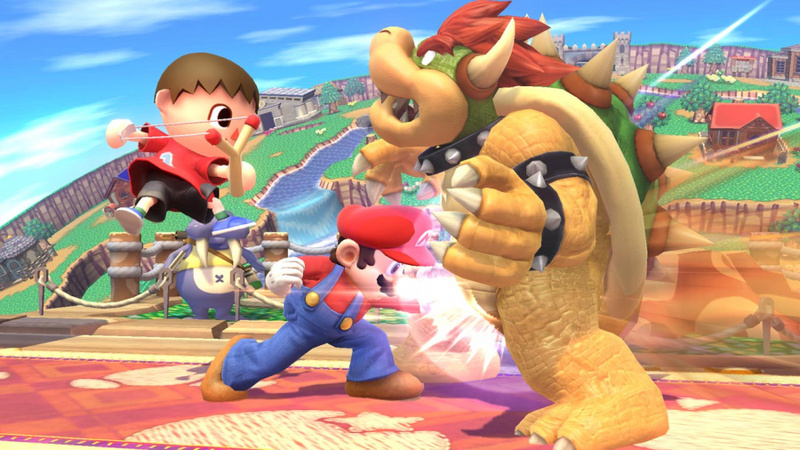 This is the same picture that you used from a while ago on the bowser junior leak right? I am floored by this. Not even a nomination? Wow...who are these people? That's like leaving Trumbo off the MVP ballot. It's almost as if the panel of people who made these nominations have completely different opinions than those of you lot here. Just goes to show that most of the people hosting these awards are either clueless or think they are smarter then everyone else and want everyone to be awed by their "intelligent" choices. While it's nice to see Mario Kart and SSB scoop up a few rewards it's the ones they completely miss on that make everything else they pick feel like feint praise. Just be happy Nintendo won a few awards at least guys. Dragon Age is a fantastic game too, well deserving of GOTY. "Nintendo was entirely left out from the Family Game of the Year " whaaaaaaa? You're right but for me it's not really about that. I get that opinions differ...but Bayonetta not getting any recognition is ludicrous. There is differing opinions and then there is just ignorance. Sad that Bayonetta 2 missed out. I knew Luigi's evil gaze would scuttle any hopes of a family game nomination.